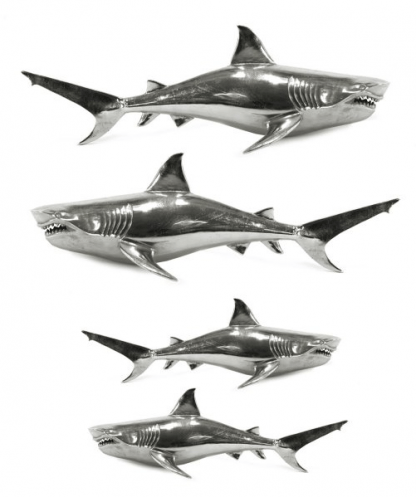 This stunning wall art sculpture of a Great White shark is cast from raw aluminium and then polished to show off it's sharp lines. Please note we have left or right facing sharks though don’t always have both variations in stock. Please specify in the “Order Notes” box at checkout which version you’d prefer.